You're invited on a special space adventure at Gossip Bingo! The action never ends with exploding reels, extra coins and more! What are you waiting for? Spin to win today! 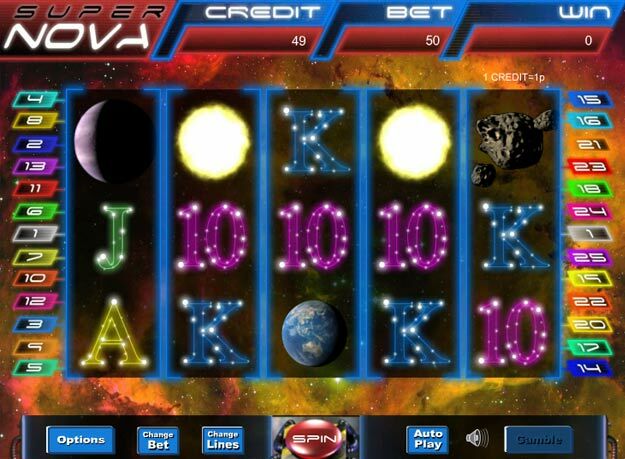 For some space-themed fun you need Super Nova Slots. Have a space adventure and see if you've got what it takes to bag the booty. This online slot has the fun additional bonus of exploding reels which is a bit different to your usual slots bonus. See if you can trigger a Reel Explosion and you'll see the chance to pick up tons of extra coins and boost your bank balance. Reel Explosions can last for ages so you may end up with a real jackpot in your account!